Back in February, 2017, Make magazine wrote an unbiased review on the Iris Calculator. 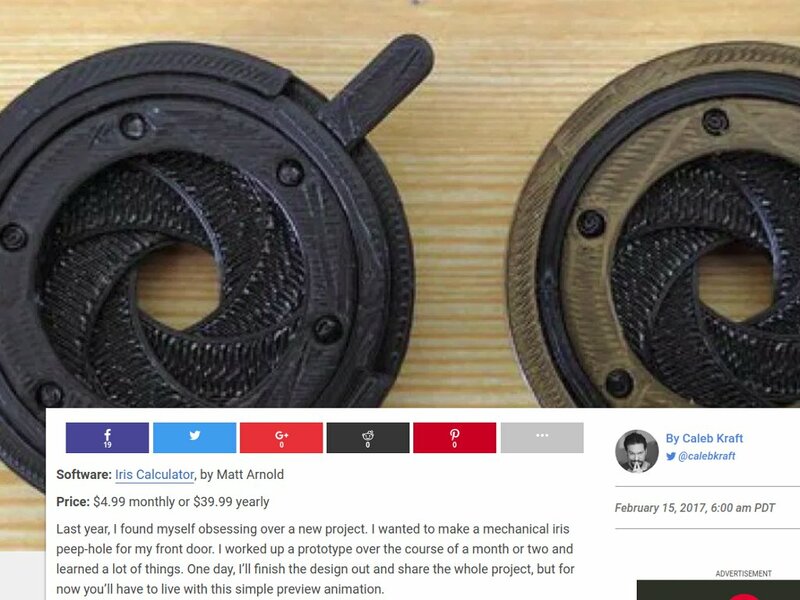 The author, Caleb Kraft, used the software to help speed up his design process for making his own mechanical iris. You can read the full Make magazine review here. Of course, since that article was written, there is now a free version of the Iris Calculator available. Plus other minor improvements have been made along the way. If you haven't already, you can try out the Iris Calculator for yourself here.